The K Desktop Environment, usable with a minimum resolution of 1024x768, had the goal of bringing a Desktop to the Unix Operating System. This goal has been fulfilled Unix users can choose between at least two great Desktop Environments for their daily use. Classic Desktop Operating System vendors have moved on to entertainment platforms such as the iPOD, or Windows powered cars, microwaves, and cellphones. I think it is time that KDE moves on and broadens its scope as well. Otherwise every KDE equipped desktop comes with a Windows powered Phone and the battle of liberation starts over again. This talk will show why we should care for Consumer Electronics and why vendors should care for our platform. I will show the efforts people have put into KDE to make it usable on Consumer Electronics and compare that to the efforts of the GNOME camp that are currently lead by Nokia and o-hand.com. This will include comparing gaim to kopete, evolution data server to KDEPIM, KHTML to GtkWebCore, KIO to GnomeVFS and point out the difficulties in using KDE. I will close this talk giving a demonstration of a mobile Gtk+ platform combining displaymigration and bluetooth to demonstrate a possible future direction for KDE. 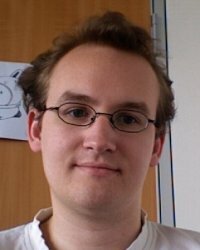 My name is Holger Hans Peter Freyther, I was born on the 26th of January in 1983 and am a student of Computer Science at the Free University of Berlin. I'm a long time contributor to projects hosted at www.handhelds.org and I have a strong belief that all means of communication should be free and open. This driving force lead to hacking on Qt, Opie, Qtopia, X11/kdrive, tslib, gcc, GNU libc, busybox, linux kernel, exploring DVB-H, GSM, UMTS networks and thanks to the University accessing Concept devices and exploring future technology.